National Engineers Week is February 17-23, with more than 70 engineering, education and cultural societies and more than 50 corporations and government agencies involved in events and activities to celebrate the profession and promote STEM education around the nation. Ranked #3 in the nation among public engineering programs offering bachelor’s and master’s degrees, according to U.S. News & World Report 2019, and a top contributor of talent to Silicon Valley, San Jose State University will be celebrating the faculty, students and programs that make up our Charles W. Davidson College of Engineering in a series of stories on our Newsroom and social media channels. The College of Engineering offers 13 engineering disciplines with 7,400 students enrolled and works closely with its Engineering Industry Advisory Council to ensure the curriculum and learning experiences offered to its students align with workforce needs. 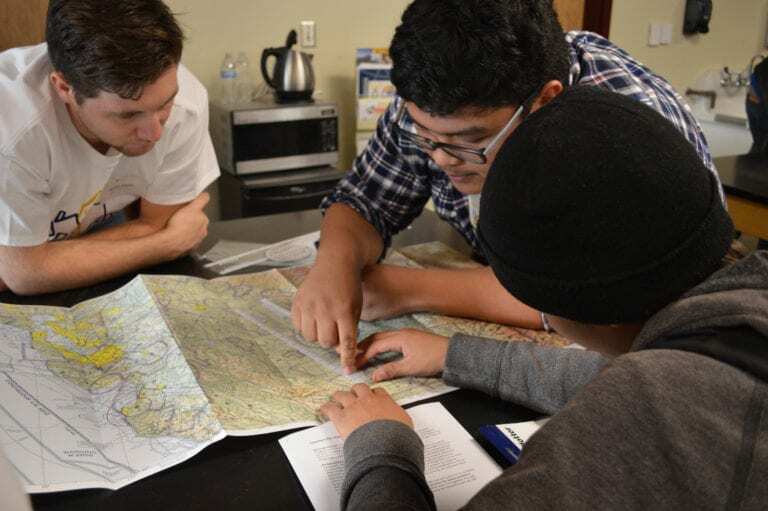 SJSU Aviation majors teach a prepared lesson on aviation navigation to a student in San José High School’s robotics club. CommUniverCity’s Engineering in Action program is looking to increase the number of traditionally underrepresented students pursuing STEM degrees. Through the program, K-12 students participate in hands-on workshops to learn fundamental engineering concepts ranging from propulsion to product design. SJSU engineering students design and deliver lessons with an emphasis on presenting material that is fun and accessible. Last year workshops were coordinated at more than a dozen elementary and after school centers in central San Jose and at San Jose High School. Read more about the program on CommUniverCity’s website.